Tree removal professionals remove many trees and stumps throughout the year in Kansas city, but they have to take various precautions and measures to protect themselves from fallen limbs and possible injuries. Even then, many still get hurt after taking steps to protect themselves. Tree removal is just a very dangerous job. That’s why homeowners should always hire a professional instead of doing it themselves. 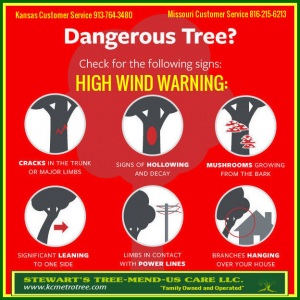 Below is more information associated with tree removal safety in Kansas city, including injury statistics, information on the dangers of tree removal, safety equipment involved in the process, and tree removal experts’ safe processes. If you have any other questions about tree removal safety, you can always call or ask a tree service professional in Kansas city. According to the US Bureau of Labor Statistics, there are 200 tree-related fatal injuries on average every year in the United States. In 2012, there were 60 injury-related deaths for tree maintenance, with another 120 fatal injuries in forestry and logging services. In 2011, the BLS reported 83 tree maintenance injury-related deaths and 125 forestry and logging fatalities from injuries in the field. In 2010, 120 forestry and logging service injury-related deaths were reported, with an additional 60 tree maintenance deaths. Injury causes included contact with objects and equipment like chainsaws or axes, falling from trees, and transportation incidents. Note these numbers only include injuries that resulted in death, as compiled from the Census of Fatal Occupational Injuries (CFOI). There are thousands of other injuries from tree care and removal in the United States every year that should be treated with serious consideration. Many dangers come with the job, and all the precautions in place sometimes don’t protect from injury. One of the first major dangers associated with tree removal are the tools. Chainsaws, wood chippers, and other power or hand tools required for tree removal can be dangerous. With even the smallest distraction, a chainsaw or ax can inflict serious damage to hands, legs or arms in just a second. This will then lead to financial damage in terms of hospital costs and recovery. Tree service professional use the tools every single day on the job with proper clothing and still get hurt. If someone has no previous experience using the tools, they run the risk of serious harm. Another major danger with tree removal is the tree itself. There are a wide variety of dangers associated with trees when attempting to remove them. First, there’s the fact that without the proper equipment, people run the risk of falling from the tree and hurting themselves. Even with the proper equipment, weak limbs can act as bad support systems leading to falls. Second is the possible proximity to electrical lines. If someone is working on a tree close to power or telephone lines and falls back towards one or hits it with their equipment, they could get electrocuted. Then there are the possible hazards in or on the tree itself. Some trees could be home to poisonous insects and plants that, without the proper clothing, could lead to a hospital visit. That’s why tree removal professionals wear heavy-duty work gloves and other protective gear when scaling trees. Trees can also sometimes have poisonous chemicals leaking onto them from power lines, which is why professionals carefully inspect trees before taking them down. The Occupational Safety & Health Administration (OSHA) outlines various regulations when dealing with hazards like these. One other major hazard inside the tree is rotting wood or deadwood. If the tree is in the process of dying, this mean it’s unstable and unpredictable when coming down. Dead or dying trees often have hollowed-out trunks and unstable limbs that make it hard to use regular power tools without increasing the risk. Often the best, although most expensive, way to get a dead tree removed involves a crane. So if you start seeing signs of rot in your tree, don’t wait until it’s already dead to have it removed. Finally there are hazards associated with when the tree comes down. Trees will not always fall the way people expect, which means issues associated with it falling on the home, power lines, or people. Tree removal professionals prepare the space, cut the right indentations into trees and attach cords to the tree to help direct the way it falls. If homeowners try to do this, they might end up with more problems than a heavy fallen tree to get out of their yard. Tree removal professionals are required to be covered from head to toe in protective gear before proceeding with a tree removal job. The OSHA outlines they wear head, eye, face, hearing, leg, and foot gear before operating chainsaws. They also wear additional safety gear on their skin when scaling a tree for defense against any poisons or possible harmful tree debris. Helmet/face shield: Tree removal specialists have to wear helmets or a face shield to defend against any falling tree debris so they don’t get a concussion. It’s also good for them in case they fall. These should also be able to protect them from electricity in case they fall back near a power line by absorbing the shock. 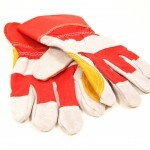 Gloves: Heavy work gloves are another important piece of a tree service professional’s ensemble, as it defends their hands from any kind of cuts, bruises or infections from poisonous plants, insects or chemicals. These also allow them to have a better grip when scaling a tree and making cuts with a chainsaw. 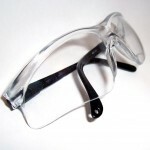 Goggles/safety glasses: Tree removal professionals need eye protection from the chainsaw debris and limbs while up in the tree or down on the ground cutting it into pieces. If they don’t wear a protective face shield, then they will either wear safety goggles or glasses to protect their eyes. This way their eyesight stays 20/20, and they avoid unnecessary accidents. 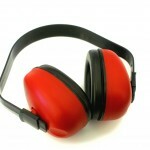 Earmuffs/ear plugs: Research has shown that extended time without ear protection against chainsaw noise causes damage to the inner ear, which leads to long-term hearing damage. To combat against that, professionals wear earmuffs or ear plugs while operating the chainsaw. It protects their hearing while allowing them to still do the job. 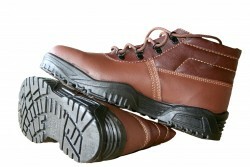 Work shoes: To get a better grip on the tree and protect their feet from work gear and tree debris, tree removal professionals need to have the right kind of shoes. They cannot wear regular tennis shoes to a work site. Boots with strap-on spikes are often required for optimal scaling and also steel-toed for protection from toppled limbs while cutting the tree up. In addition to the various pieces of safety gear tree removal professionals wear while on the job, they take precautions and follow strict regulations. The OSHA outlines various tips for tree removal experts on how to stay safe, including they assume all power lines are energized and to contact the utility company about de-energizing or grounding the lines before the work starts. They also have other precautionary tips involving alertness and hazard assessments on their OSHA Quick Card page. Some of what keeps tree removal experts safe is they do not work during any sort of inclement weather. If there are winds, snow, hail or any other sort of weather that could put them in harm’s way, they will reschedule for a better day.21 This is because risk increases with bad weather. They also plan ahead before starting the job. They examine the site for any hazards, whether it’s weak limbs, broken branches, dead or rotting wood, poisonous insects or plants, or any other potential problems. They see where the power lines are, in case they’re within close proximity and need to have rope for directing the tree’s fall or should speak with the utility company. They also observe the tree for its size to assuage the best way to take it down, whether it’s small enough to cut with a chainsaw or needs to be scaled for cutting as a larger tree.They also wear their safety equipment at all times, which keeps them from getting hurt. During the tree removal process, professionals follow a procedure that gets the tree down in the safest way possible for them and the homeowner. They will estimate the felling zone, leaving plenty of room for the fall, cut a notch into the tree and place a wedge there on the falling side to help with direction. While cutting, they will be aware of any kickback limbs that could put them in danger of falling or injury. Then they will drop the tree using rope to guide it down into the yard, where no one is in danger of getting hurt as well as keeping the tree away from power lines to avoid electrocution or blackouts. They will remove limbs on the outside and then work in to keep it from being a problem when they will lift it later.If the limbs are not cut close to the tree, they could put out someone’s eye or cause other injuries to personnel. Then they will cut the tree down into smaller pieces and haul it away. Homeowners are seriously encouraged to not attempt this job alone with the risks involved. There are always tree removal professionals in the area who have the skills and safety training to perform the task for a good price. “Fatal occupational injuries by occupation and event or exposure, All U.S., 2012” (PDF). US Bureau of Labor Statistics. “Fatal occupational injuries by occupation and event or exposure, All U.S., 2011” (PDF). US Bureau of Labor Statistics. “Fatal occupational injuries by occupation and event or exposure, All United States, 2010” (PDF). US Bureau of Labor Statistics. Wiatrowski, William J. “Fatalities in the Ornamental Shrub and Tree Services Industry”. US Bureau of Labor Statistics. 2005-07-26. O’Donnell, Cathey. “Tree-trimming industry has high risk, lax rules”. Lohud.com. 2011-11-05. “NIOSH Issues Nationwide Alert on Dangers of Tree Trimming”. 2012-12-05. Diller, Chad. “Do It Yourself Tree Removal: A Bad Idea”. Tomlinson Bomberger. “The Many Dangers of Tree Trimming”. Embark Services. OSHA. “Tree Trimming”. Occupational Safety & Health Administration. Keller, Evan. “Factors Affecting the Pricing of Tree Removal and Tree Trimming” (PDF). Tree Work Now. Margolin, Malcolm. “Felling a Tree”. Mother Earth News. “Tree Service Safety Equipment and Hardware”. Stewart’s Tree Service. 2012-08-14. Nix, Steve. “How to Fell a Tree Using a Chainsaw”. About.com. “Leather Work Gloves Improve Tree Trimming Safety”. 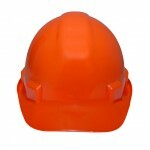 Safety Gear Online. 2013-06-07. “Chainsaws 101”. Extreme How-To. 2003-10-26. “Introduction to Arboriculture: Tree Worker Safety”. International Society of Arboriculture. “Homeowners Guide to Tree Removal Without Visiting the ER”. Landscaping Answers.com. OSHA. “Tree Trimming & Removal Safety Tips”. Occupational Safety & Health Administration.2007-06-27. Neilson, Erik. “Tree Removal Safety Tips”. Ask.com. 2011-09-26. Blair, Jennifer. “Tree Removal Safety Techniques”. SFGate Home Guides. “How to Cut Down a Tree”. TreeRemoval.com. “Tree Trimming and Removal” (PDF). Caterpillar.